The high current and projected federal budget deficits, and debate over the size and scope of federal spending, have raised interest in how federal dollars are spent. This book focuses on federal outlays for major "need-tested" programs - programs targeted toward families and individuals with limited income. The major need-test programs discussed in this book provide cash, food, housing, and medical assistance to families and individuals with limited financial resources with collective FY2010 federal outlays of $602 billion. These programs represented 17.4% of all federal outlays and 4.2% of the Gross Domestic Product (GDP). 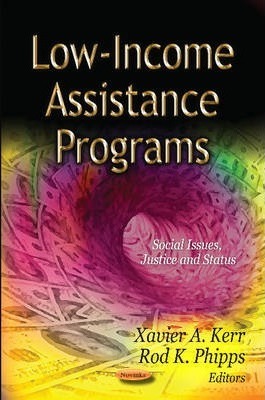 Preface; Low-Income Assistance Programs: Trends in Federal Spending; The Low Income Home Energy Assistance Program (LIHEAP): Program & Funding; Section 202 & Other HUD Rental Housing Programs for Low-Income Elderly Residents; Individual Development Accounts (IDAs): Background & Current Legislation for Federal Grant Programs to Help Low-Income Families Save; Index.